Even before Hurricane Maria wreaked havoc on Puerto Rico in September 2017, Orlando Rios felt his opportunities to continue his undergraduate research at the University of Puerto Rico were limited due to budget cuts at the institution. In the weeks after Maria made landfall, he knew those chances were even slimmer. A couple of weeks after the hurricane, Rios, 21, received a call from a friend that would change his life. Rios’ friend suggested he go online and Google research positions. In theory, it sounded easy. One problem: the internet wasn’t easily accessible. The day after speaking with his friend, Rios woke up early to do chores, as he did every morning. They weren’t as routine anymore, since “not having water and electricity, it kind of takes a lot of time,” he said. Once finished, Rios told his mom he was going to go download some episodes of a TV show he enjoyed. At that same moment, nearly 2,000 miles away, Donna Kashian was at the doctor’s office with her daughter when her phone rang. Rios spent the rest of that day talking back and forth with Kashian, working out how to make this happen. He didn’t end up getting back home until about a half hour before the island’s imposed 9 p.m. curfew. His mom had been worried about what took him so long to download his shows, unaware of her son’s big news. Getting Rios to Detroit was a joint effort between Kashian and Shirley Papuga, associate professor in Wayne State’s Department of Geology. Coincidentally, Papuga also was a recent transplant who came to the College of Liberal Arts and Sciences (CLAS) from the University of Arizona. Papuga hired Rios on a pilot project funded through Wayne State’s Office of the Vice President for Research and Healthy Urban Waters — a collaboration of Wayne State researchers networked with the community to focus on water in an urban setting and future impacts of human culture on community, ecosystem and economic health. Rios was flown to Detroit using funds through a National Science Foundation (NSF) training grant Kashian had secured for Wayne State’s Transformative Research in Urban Sustainability and Training (T-RUST) program, which encourages the development and implementation of bold, new potentially transformative models for science, technology, engineering and mathematics graduate education training. Prior to the hurricane, Kashian had built a partnership with the University of Puerto Rico on the western side of the state through the grant. After Maria hit, she lost contact with colleagues at the university, and wouldn’t hear from them again until after Thanksgiving — they were all fine, but still dealing with challenges. By January, Rios permanently made the move to Detroit and enrolled at Wayne State. 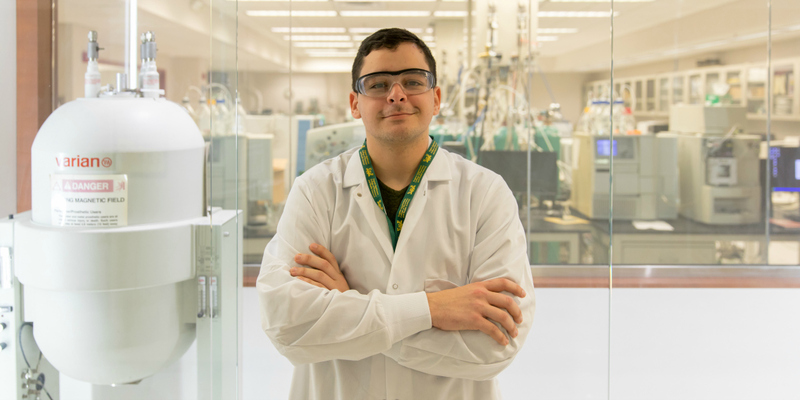 His goal is to finish his undergraduate degree in environmental science with a minor in geology before pursuing his master’s at Wayne State. Rios is quick to express his gratitude for Kashian and Papuga’s work bringing him to Detroit. Orlando discusses his research in environmental science. One of those students is Anna Boegehold, a Ph.D. candidate in Kashian’s lab who studies aquatic ecology and invasive species. She was the first to meet Rios at the airport, picking him up and opening up her home for him. 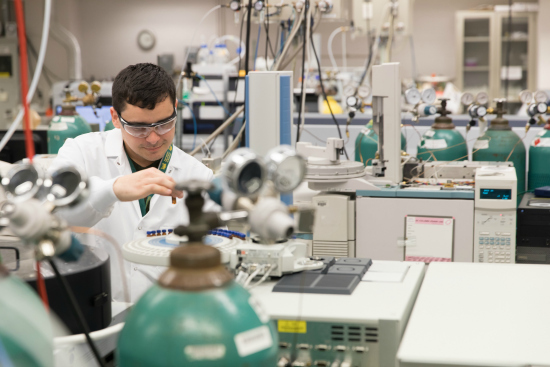 Rios hit the ground running, immersing himself in research that involves studying volatile organic compounds (VOCs) on air quality to determine the vapor intrusion of the chemical compounds in metro Detroit basements. VOCs easily become harmful vapors or gases that can affect the health of those living in the homes. â€‹â€‹Further helping Rios’ decision to stay at Wayne State was an inaugural $2,500 scholarship created by Mari Vaydik, senior director of philanthropy and alumni relations for CLAS. Vaydik established the Frank and Mary Ellen Vaydik Annual Scholarship in honor of her parents. Vaydik isn’t rich, but she still wanted to help students. Through a payroll deduction of $100 per paycheck, she created the scholarship, which is available to eligible CLAS students studying environmental science or English. Orlando shares what receiving a scholarship meant to him. Rios has adapted well to his new surroundings, including enduring one of Michigan’s coldest winters in recent memory. Rios said it’s been a love-hate relationship with the weather, especially since he prefers to bike to campus from his home in New Center. Overall, Rios can’t imagine being anywhere else.